Hershey’s Mill started construction back in February of 1974 with Ashton Village and continued to add Villages alphabetically until Zephyr Village was completed in 2007. With a total of 1,700 Homes, Hershey’s Mill is now a fully mature development. There has not been any new construction at Hershey’s Mill in more than 10 years. As a result, every Home sold at The Mill is a used Home. Our vision is to help new Homeowners create the Home of their Dreams. Whether you Buy into Ashton or Zephyr, we can make your Home….New!! 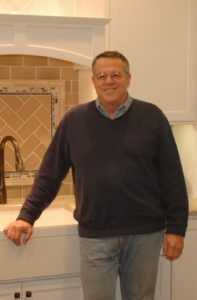 Serving as the Vice President of Chester County Kitchen & Bath (CCK&B) for the past 10 years, John Noland has completed more than 15 remodeling projects at The Mill ranging from Kitchen and Master Bath remodels to Additions and complete Home Remodels. With the continuing support of CCK&B, in March of 2017, John launched Helping Hands @ The Mill, LLC. Helping Hands exclusively serves the Homeowners of Hershey’s Mill. 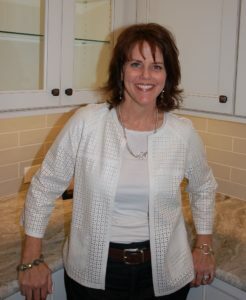 Sharon Ryan, Owner of Sharon Ryan Design, has provided Interior Design Services and assistance with Selections for John’s Customers for the past 8 years. At Helping Hands we recognize the value of this critical service as the Keystone to a successful Project. For that reason, Sharon is actively involved in every Helping Hands @ The Mill Project. ‌ • Installing New Carpet, Flooring, Counter, Tile, etc.